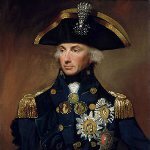 Trafalgar Day is celebrated in the United Kingdom on October 21 each year. It commemorates the victory won by the Royal Navy over French and Spanish forces at the Battle of Trafalgar in 1805. The Battle of Trafalgar was the most decisive naval victory of the War of the Third Coalition. The Royal Navy led by Horatio Nelson and Cuthbert Collingwood defeated the combined fleets of the Spanish and French navies led by Federico Garvino and Pierre-Charles Villeneuve. Nelson made a significant contribution to the victory but was shot and killed during the battle. Trafalgar Day was first celebrated in Trafalgar Square in London on October 21, 1896 and has been celebrated with great pomp throughout the British Empire for more than two decades after that. Celebrations usually included parades, formal dinners and other events. Public celebration of Trafalgar Day declined during the First World War. However, it was still marked. In fact, Trafalgar Day is still observed in the United Kingdom although it is not a bank holiday. Trafalgar Day is typically celebrated with military parades and solemn ceremonies which include wreath laying. Parades and ceremonies involve members of Sea Cadets, HMS Forward, and various civic organizations. The largest ceremonies take place in London, Birmingham, Edinburgh, and Gibraltar.